Are you “worthless”? How important are you to the success of the things that you believe? Today our country needs conservatives to be willing to get involved and play an active role in our political system like never before. The good news is that you don’t have to be a politician in order to make a difference. You just have to be willing to participate and then let your voice be heard. The purpose of The Guide to Grassroots Politics series is to cover the highlights and break down the complexities of the political system and give a basic understanding of the fundamental techniques that can help you achieve success. The two things that truly determine how politically effective individuals can be are their knowledge of the system and their willingness to participate. 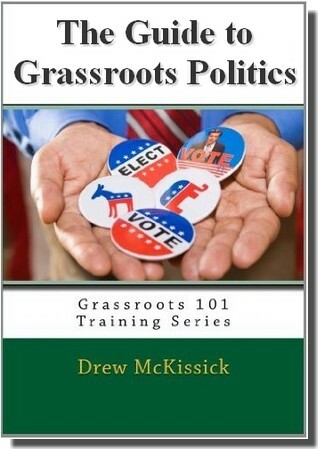 This series is your “how to” guide to grassroots politics and gives you all the knowledge you’ll need. The “willingness” is up to you! Hard copies available on Amazon.com for $17.95 ! Hard copies are available on Amazon.com for $19.95 – CLICK HERE! SPECIAL DEAL: You can get the e-book version of this entire series at a discount – click here and get all three levels for $21.95! So what are you waiting for? Make an investment and learn how to be more effective in the civic process today!